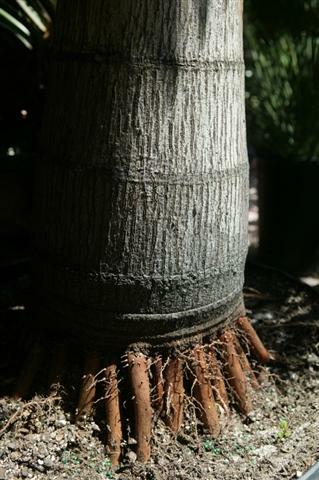 There are many varieties of palm species and they have one thing in common – they have a long fibrous root system that has evolved to withstand tropical cyclones. 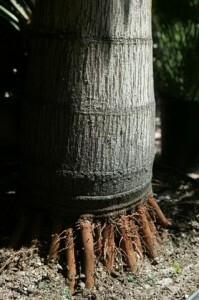 These roots go deep into the ground and spread a distance around the palm tree. They can be responsible for movement in building’s walls, retaining walls, pavers, concrete, sewers, or other nearby structures. You only have two feasible options for removing a palm tree stump – using an excavator, or hiring a stump grinder to remove the stump to below ground level. As you can see from the pictures of the palm tree stumps it would take a long time to dig up and cut through all those roots. We have spoken with people who said it took them years to remove palm tree stumps even though they worked on it a few hours every weekend till it was gone. They vowed never to do it again. 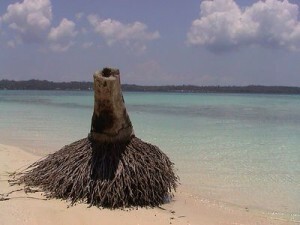 In this method you use an excavator to dig a huge hole around the stump so you have access to the palm tree’s root ball. You cut off any long running roots and lift the stump and root ball out of the ground and transport it to the tip. This method is best if you need the entire stump removed if you are already planning to build a structure there or requiring to plant another large mature tree. If you plan to use this method, ensure it forms part of your construction plan (if building a house), since an excavator & truck adds up quickly. Depending on the size of the excavator it can be around $80 per hour, with additional costs for hiring truck hire to dump the stump, paying the tip to take your stump, and then all the additional time to restore the site. Hint: You must dial before you dig to check for buried services. Their could be telecommunication, water, gas, or electrical lines where you want to dig! 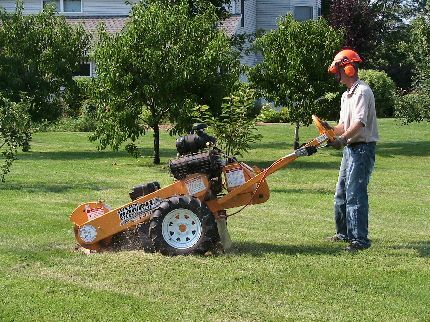 With stump grinding a machine is used that has rotating discs with teeth on them that are used to literally grind the stump away. It operates in a fashion similar to a chainsaw – reducing the area being grinded to sawdust. The grinder can only remove what it can reach – which is usually only 1-2 feet below ground level. This method is usually cheaper than excavating, with a typical stump grinder costing around $100 per hour (with operator) but the work will be carried out in less time (around 3-4 hours). This option is the better value for money choice, but you still have the stump rotting away below ground level. You can plant a garden on top, but you will have to wait a while if you want to plant something that requires deep root penetration. Sydney Tree Removals is proud to announce that we have a new stump grinder to add to our collection of hard working arbor tools. It is a Bandit HB19XP manual self-propelled stump grinder. This is a lightweight, compact unit that can gain access to tight or confined locations. The stump grinder has a Honda engine so it has a lot of power and life in it. We are very happy to have a unit that can be easily moved to grind stumps in almost any location. The Honda engine packs 13-horsepower and is controlled by a joystick that allows it to travel forward or reverse. It has an electric start and an electric clutch. But most importantly it features a 14 inch diameter cutter wheel with 12 carbide teeth. These teeth will tear through stumps in no time. We invested in this unit because there has been increased demand to have tree stumps removed in the back of small apartments blocks with limited access. Now we will be able to remove the stumps quickly, safely, and cost effectively. So if you have a stump in a limited access location and you want that stump removed fast – you should contact Sydney Tree Removals for a free quote from a qualified arborist. Not all stumps can be removed using a stump grinder. Professional arborists have a few tricks up their sleeves for removing difficult tree stumps. Leveraged removal: Depending on the circumstances. This method requires manual or mechanical digging around the base of the stump, detaching any roots that might be problematic, and then applying appropriate leverage through a chain block system to pull the stump out of the ground. Manual removal: This is the hardest way to remove a tree stump, by digging it out manually. This sometimes is the only option if the stump is located in a hazardous or confined location. Chemical removal: This method requires a chemical stump removal product to be applied onto the stump to promote the decay of the stump. Stump removers are normally made of potassium nitrate (KNO3) and take between 4-6 weeks to make the stump rotten enough for it to be removed in fragmented pieces. The limitations of this method are the use of chemicals and it lacks immediate results. Sometimes people set stumps on fire after chemical treatment to speed up the removal process because the potassium nitrated once absorbed acts as an oxidizer, but we do not encourage this method as it is dangerous, and stump grinding is a fair superior, safer, and quicker option. Contact a stump removal expert today for them to assess the best way to remove your stump. adminNewington, Stump Disease, Stump Removal Comments Off on Why Remove that Stump? 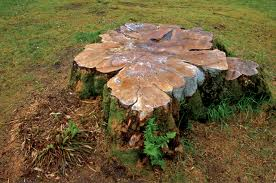 Stumps can take years to decay naturally. The stumps are not only unsightly, but have the potential to be trip hazards or damage vehicles depending on their location and how low they are cut to the ground. 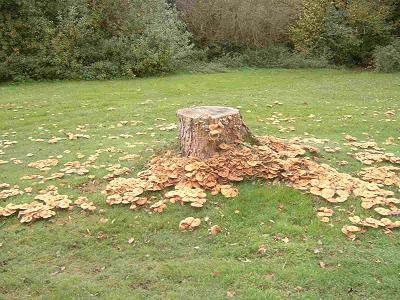 In addition being potential safety hazards, they also can cause dangerous root rot diseases such as honey fungus that can affect the surrounding vegetation in your garden. Root rot is a cause of why many trees look unhealthy, and eventually die. We recommend Sydney Tree Removals to provide you with your required tree services for anywhere in the entire Sydney region. They only employ qualified experienced arborists, who have the skills, experience, and physical stamina to tackle any job. They don’t believe any job can be too big or too small – and they always offer friendly professional service to their clients. Sydney Tree Removals not only offer stump grinding and stump removal, but many other tree services including palm and tree pruning, tree surgery (such as tree lopping & tree removal) and wood chipping. They can access trees in hard to reach locations using a cherry picker or boom lift, or by climbing the trees, and they are able to work in areas of limited access. 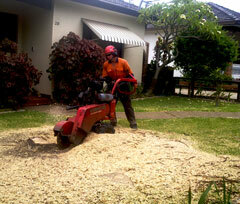 Sydney Tree Removals enjoy their tree work: offering tree services at affordable prices across Sydney. Contact Sydney Tree Removals today for a no obligation free quote.